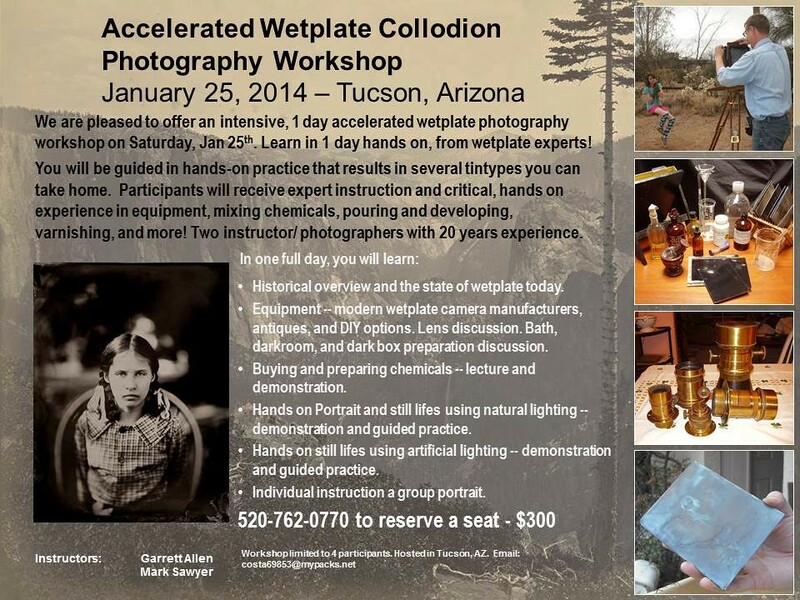 I'm pleased to announce another hands-on, one day accelerated wetplate workshop. You will be taught by two experienced LF and Wetplate photographers and instructors, myself and Mark Sawyer. In Tucson, Arizona, one day, Jan 25th. By the end of the day, you will have learned everything you need to mix wetplate chemicals, pour plates, make successful exposures, and successfully varnish your plates. See the attached flyer for more on the curriculum. Limited space, first come first served. 2 seats remaining! Please contact me if interested.